Time For Your “Mind Gym” – How Do You Face Uncertainty? It’s, perhaps, this uncertainty that mostly induces anxiety and distress over what can come next. “How will the future be like?” you wonder. – Wait for things to happen and then respond to accommodate. Get stressed in anticipation meanwhile…. – Or keep planning your life as before , do what you’re used to doing, and deny that external powerful circumstances may eventually lead you to a dark place. But wait…. there’s a third alternative to go about it. Consider the “waiting time” a chance to do what you never had the time to do before the overwhelming uncertainty barged in. To feel more in control, change anticipation into having plan “A”, “B”, “C”,… Build walls of defense to combat incipient feelings of stress. And affiliate with those facing similar uncertainty, or ask for assistance. Forks in the road teach us how to gallop. Sticks in the wheels teach us how to fly…. 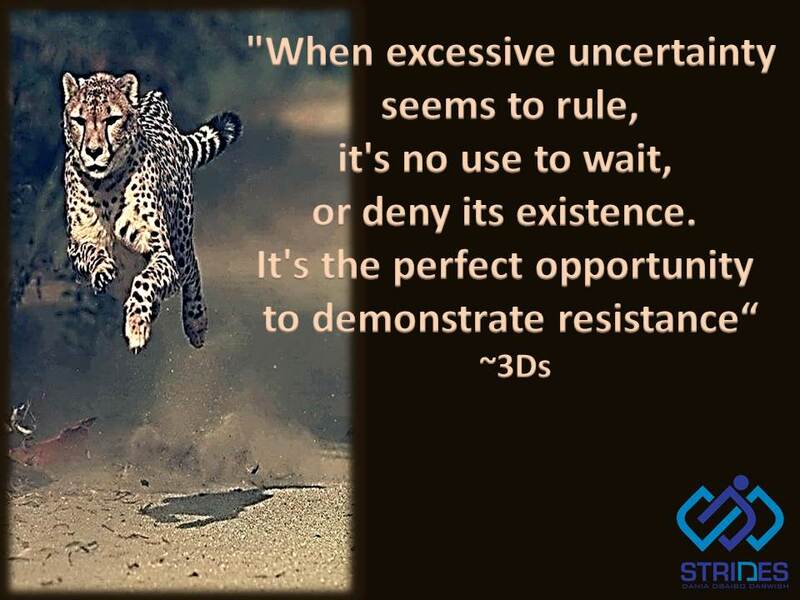 Some enjoy and even seek gravity resistance…. Trampolining with you 😉 Eeeee-Haaaaa!